By 2018, Vaud BioMed Partnering will offer a unique information and networking source, allowing to support the development of companies active in life sciences and healthcare in the Canton of Vaud. To set up and develop a local platform allowing exchanges, networking opportunities, training, consulting and expertise offerings, recruitment and lobbying in the field of life sciences and healthcare, targeting all the stakeholders active in these sectors in the Canton of Vaud. The services offered by this platform are based on the offerings provided by highly specialized life sciences and healthcare service providers. 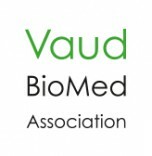 Vaud BioMed is a nonprofit association.